Despite the brevity of Jonah, Nahum, Habakkuk, and Zephaniah, these books contain forceful messages. Whether we’re in need of comfort when our lives are spinning out of control, stronger faith in the face of adversity, or clarity when it comes to understanding our relationship with God, these Minor Prophets speak to our fundamental human needs with a surprising amount of relevance. After all, the heart of humanity is not so different than it was for these harbingers of God’s will. The imperfections of these prophets, such as Jonah’s attempt to run away from God and Habakkuk’s ready willingness to question Him, remind us that even flawed individuals can still be vessels for God’s will. In the end, God’s chosen people are victorious in their faith even under harsh persecution. 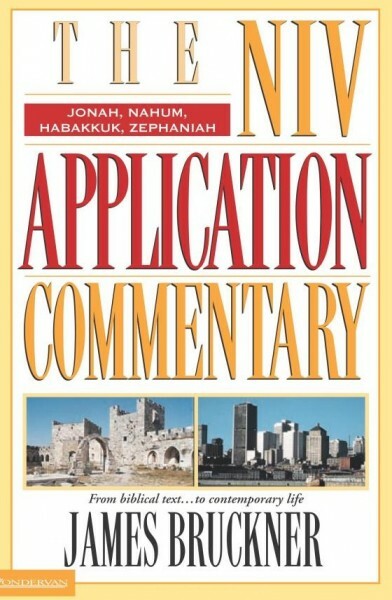 James Bruckner not only guides us through the original meanings of these prophetic works, but connects them to our everyday lives in order to help us apply their timeless truths in this volume of the NIV Application Commentary series.